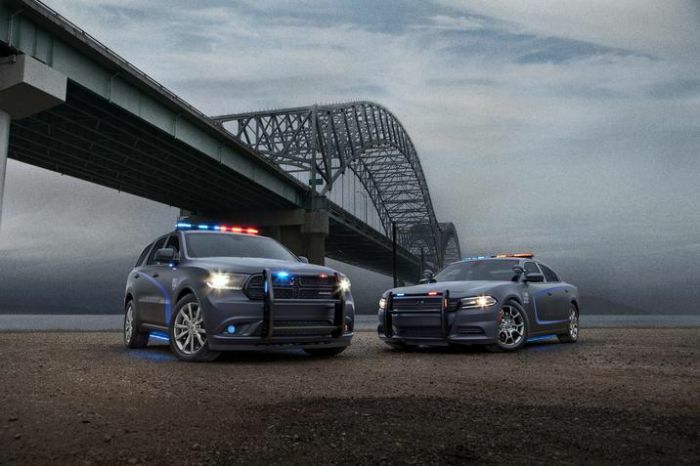 Dodge already has a popular police Charger and now it is adding a 2018 Dodge Durango Pursuit to its line-up. The new police SUV is a pursuit-rated version of its 2018 Dodge Durango SRT model. Supplying police vehicles is a multi-million dollar market for the Detroit Three. Ford has its popular Interceptor SUV (based on the Explorer) and sedan models (based on the Taurus) as well as a new Responder line of F-150 trucks and Fusion sedans. Chevrolet, similarly, has police vehicles based on its Tahoe SUV and Impala sedans. Police agencies have to replace their vehicles relatively frequently and the demand provides a lucrative revenue stream for the automakers. The 2018 Dodge Durango Pursuit also has special, larger anti-lock brakes for better stopping power. The 5.7 HEMI V-8 also has a fuel saver feature to help keep fuel prices down. With 360 horsepower, it falls right between the 2018 Chevrolet Tahoe PPV at 355 HSP and Ford Interceptor at 365 HSP. The rear-wheel-drive 2018 Dodge Durango Pursuit features all-wheel-drive so it should handle extremely well in any situation. Dodge lists one of its selling features as “Class-exclusive, K-9 friendly Tri-Zone interior temperature control.” Many of the SUVs in police fleets are used to transport the police search and drug sniffing canines. It makes perfect sense that Dodge would come out with the 2018 Dodge Durango Pursuit model, first of all the Dodge Durango SRT is a very impressive vehicle. Also, police departments often need SUVs to transport police dogs, prisoners and cargo. If the departments are already purchasing the police version of the Charger, they may be easily swayed to purchase the Durango Pursuit, rather than buying from another brand. It may keep service prices down to deal with one brand of parts and supplies rather than having to support two brands. Police departments will always need powerful vehicles, the Durango Pursuit fits the profile already created by the Ford Interceptor and Chevrolet Tahoe PPV.